Lidor is an experienced litigation attorney who has spent the majority of his legal career in the courtroom. He has first-chaired more than one hundred and fifty bench trials, as well as jury trials in State and Federal Court, and argued at dozens of evidentiary and summary judgment hearings. Lidor has counseled his clients at every stage of litigation—from the retainer to and through appeal. His courtroom experience has made him a convincing litigator and deliberate trial strategist, which has successfully resulted in achieving his clients’ intended objectives. A native of Tel Aviv, Israel, Lidor is fluent in Hebrew. 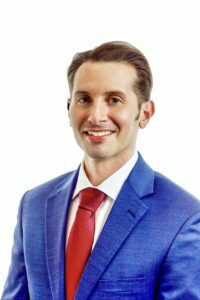 He attended the University of Florida for his undergraduate studies, and earned his Juris Doctorate at the Nova Southeastern University, Shepard Broad Law Center, in 2012. Lidor is licensed to practice in all Florida State Courts and the United States District Court for the Southern District of Florida. In his spare time, Lidor enjoys reading, exercising, and volunteering.